Huntington Bailey has extensive experience in all aspects of wills, trusts and estates. We work with families of every size and asset class in navigating this often confusing and overwhelming aspect of the law. By planning ahead and making informed decisions, our clients gain peace of mind and ensure their wishes are fulfilled. Estate Planning. Proper planning starts by asking the right questions. Our attorneys help you identify your important goals, and how to get there. Who are your beneficiaries now, and how might that change in the future? 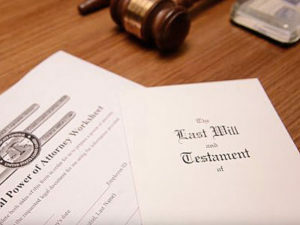 What are the key traits to look for when choosing the executor for your will? Who should have access to your accounts-including online accounts-now and later? And much more. Living Wills & Power of Attorney. What should you look for when selecting those who will have power of attorney? What can you put in place now to ensure your wishes are fulfilled down the road? We’ll help you put in place the key features of a living will, and help you to identify the changes in your life situation that require those features to be updated. Contested Probate & Estate Disputes. Huntington Bailey also works with clients who need to pursue a legal remedy for a disputed will or similar disposition of assets. We bring to bear our experience, resources and knowledge of the probate courts to ensure that heirs receive what is rightfully theirs. No matter how simple or complex your estate and assets may be, planning ahead can save you and your loved ones tremendous amounts of time, stress and money. Getting started can be the most difficult part. Contact us and we’ll help you on the road to smart planning and peace of mind.